The history of a bloke on a rope Ropes have been used by man for several thousand years. The first 'ropes' were natural vines that were used to swing like Tarzan from tree to tree. By platting and joining plant fibres it was possible to make strong ropes that could be used to join, bind, pull and climb up. Without rope, the pyramids and Stonehenge could not have been built, boats could not have sailed, wells could not have been dug and simple mechanical devices such as the pulley would have been impossible. Like spiders, man was able to use rope to ascend and descend in order to access food and shelter or simply travel from one place to another. Modern-day examples of the early use of rope for access can be seen in various parts of the world. The honey hunters of Nepal descend sheer cliffs on ropes to harvest precious honey. In Thailand and Viet Nam, agile climbers ascend ropes to collect the glutinous nests of swifts that are the main ingredient in bird's nest soup. On sailing ships, crew members are hauled aloft to effect repairs to the sails, rigging and masts. Over the last two hundred years, buildings have become taller and the man-made world has created a vertical challenge. As you can see in the photos on the right, safety did not appear to be a concern in the early 1900s when construction workers operated without ropes or harnesses. Mainly as a result of advances in mountaineering and abseiling, rope access techniques were used to position workers onto the outside of structures for cleaning, maintenance and repair. 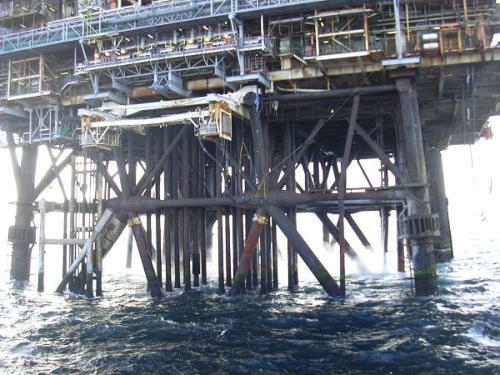 The offshore oil & gas industry operates in a hostile environment and works to high safety standards. Access to hard-to-get-at locations on the many offshore installations was a problem. Initially scaffolding or a crane and basket was used but this was both expensive and carried risk. It required a radical new approach and the industry called upon the expertise of climbers with ropes to reach these otherwise inaccessible spots. Rope access is now a standard and cost effective route to get the right skills and right equipment to where it is required.